Get better and have fun doing it. For any type of player or team. Designed to sharpen your skills and be fun. Never do a boring drill again. iSoccer Skill Challenges cover all the essential areas a player needs. 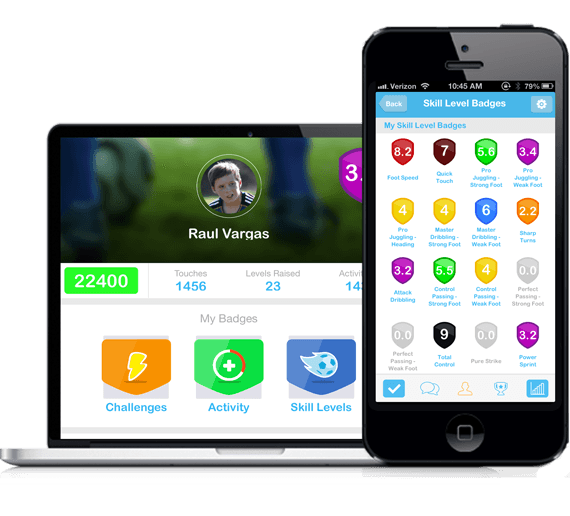 Take a Challenge, earn a Skill Level, and then use iSoccer to improve your Level. There are even Bonus Daily Challenges to keep things interesting. 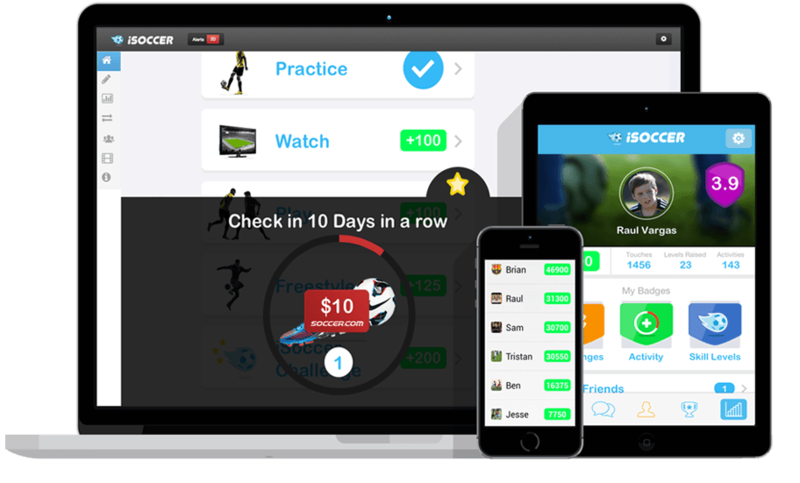 Earn real world $$ to spend on gear for taking Challenges. 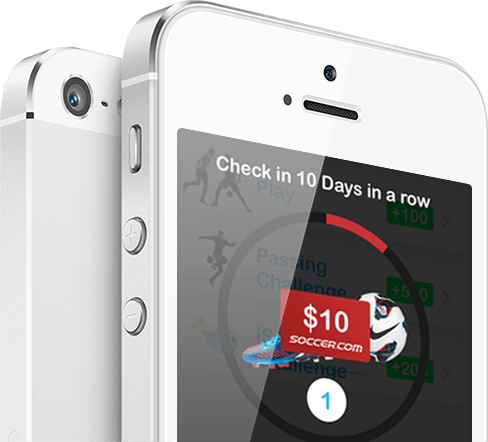 Not only will you improve your skills by taking Challenges, you can also earn gift cards to spend at soccer.com by training with iSoccer. That's a pretty sweet deal. and we gaurantee we can help you too. what you need to improve on. Meet a few featured players who found success with iSoccer and raised their Skill Level. is training the most at home. 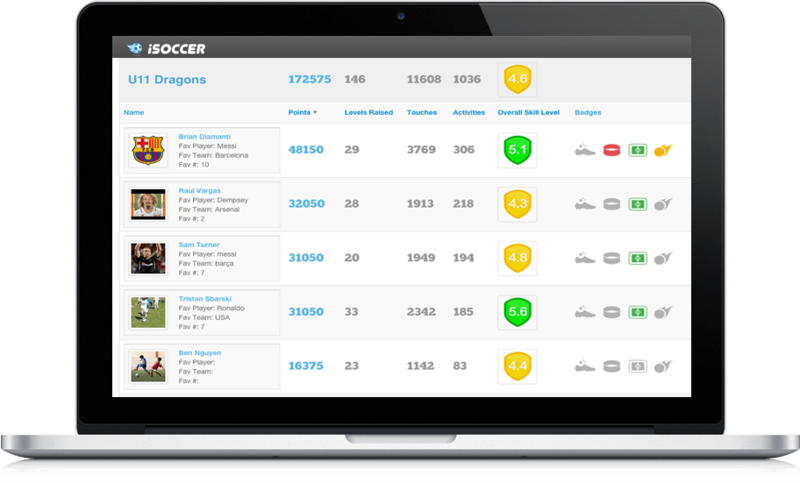 Give all your players total access to iSoccer. Send your players Skill Training Videos for them to work on at home. 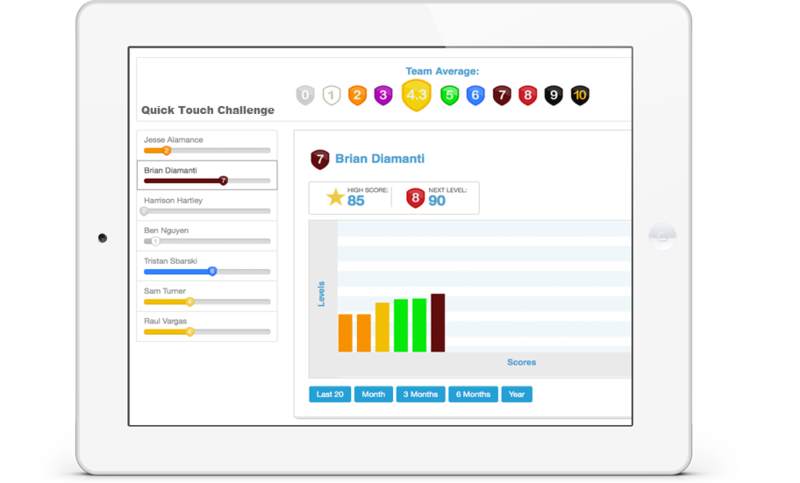 Make skill training more social and stay in touch away from practice. Print off objective feedback reports for players and parents. Award players with custom coach badges. Check out all the different ways iSoccer is helping motivate players and teams around the country. iSoccer 2014. All rights reserved.